Arlington Heights, Ill. - The busiest travel season of the year is approaching, with many people headed to tropical locales, but plastic surgery patients need to know who is performing their surgery before traveling abroad. The American Society of Plastic Surgeons (ASPS) cautions that while inexpensive vacation packages that include cosmetic surgery may sound appealing, it may be difficult to assess the training and credentials of surgeons outside the United States. "It is a significant patient safety concern when consumers are having major surgical procedures performed by unqualified practitioners," said Dr. Gregory Evans, president of the American Society of Plastic Surgeons. "There are no U.S. laws that protect patients or mandate the training and qualifications of physicians who perform plastic surgery outside of the U.S. There may be no legal recourse if surgical negligence by the physician or institution occurs." This warning comes on the heels of a new survey from global market research company Ipsos on behalf of Reuters News. The survey shows one in five people "definitely would consider traveling to another country to receive medical or dental care if the cost were significantly lower than in their country." "All too often we see patients who think they will enjoy a vacation following plastic surgery abroad only to end up paying dearly for the surgeon's lack of training and expertise," Evans said. "These patients end up paying more in revision surgeries and time off work than if they had paid a bit more to see someone who was qualified to perform the procedure. 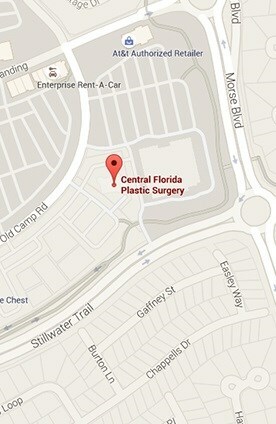 The ASPS Find-a-Surgeon tool is an invaluable resource to patient's looking to have plastic surgery."